In the spring of 1942 the U.S. Army selected a site one mile south of here for an airfield. The dry climate and open landscape afforded ideal flying conditions. Ample water, cheap land, and Alliance's new power plant, new hospital, and railroad division point were other attractions. Five thousand construction workers descended upon Alliance, population 6,669, creating a housing shortage. By July four 9,000-foot runways had been completed. 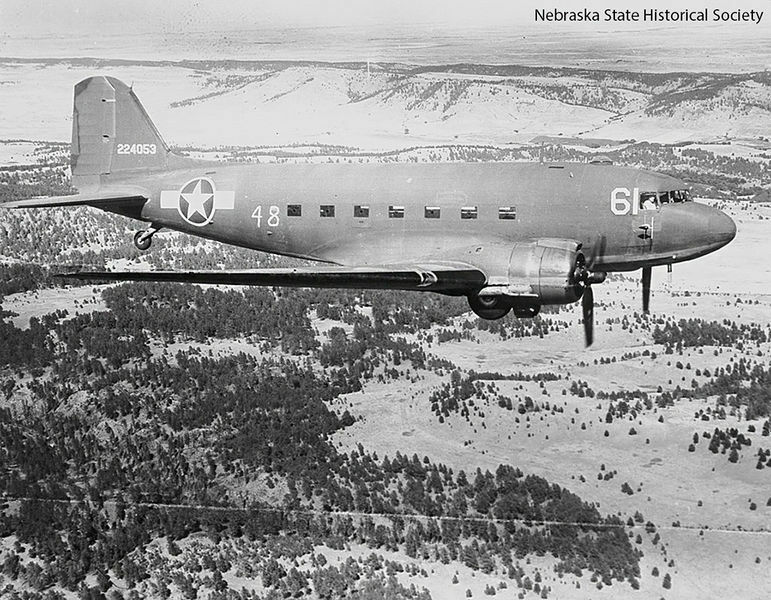 The 31,489-acre field's primary mission was to train aircrews of C-47 and C-53 transports and CG-4 gliders, along with the airborne troops they would carry into battle. The field contained some 775 buildings and housed 12,500 military personnel at its September 1943 peak. The 411th Base Headquarters Squadron, 403rd and 434th Troop Carrier Groups, 326th Glider Infantry, 507th Parachute Infantry, and 878th Airborne Engineers trained here before deployment to the European Theater. In June 1945 veteran troops arrived to train for the expected invasion of Japan. The field was declared surplus in December 1945, and most buildings were sold. Part of the field was transferred to Alliance for use as an airport. 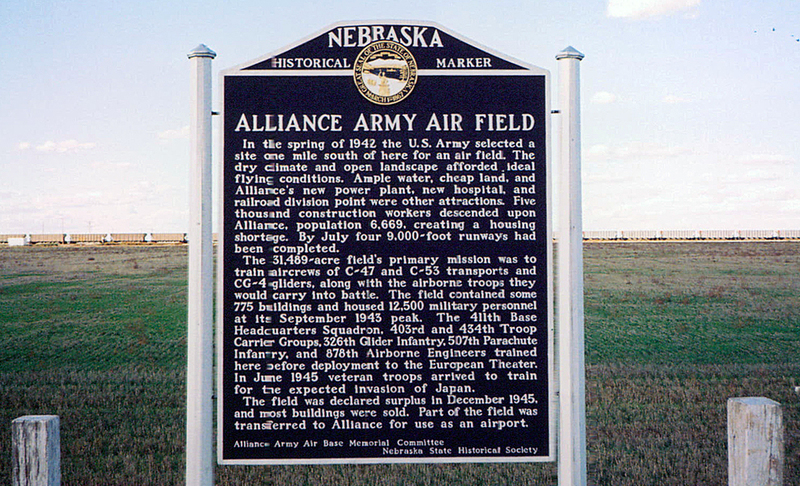 “The Alliance Army Air Field,” Explore Nebraska History, accessed April 19, 2019, https://mynehistory.com/items/show/17.